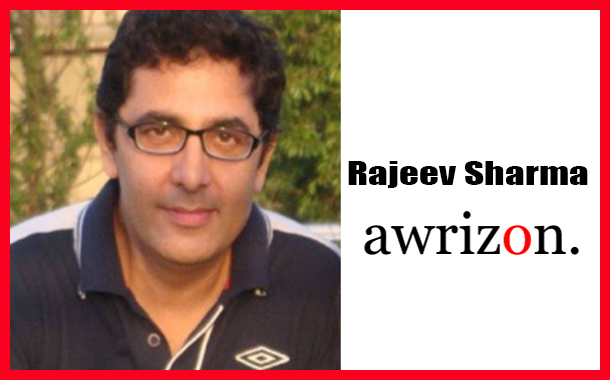 Authored by Rajeev Sharma Founder of Awrizon, a performance based Digital Consultancy. You are all ready with what looks like a winning digital strategy a category shaping roadmap. But what if you were told that this could be grossly irrelevant, or even counter productive? Or if it was doing the brand nothing more than just garneringa few shiny superficial brownie points? How does on look at a brand’s New-Age strategy for short and long term both, with the same lens and build a framework that fits in with the big goals? We said, it’s all about creating great experiences and measuring the right outcomes. We also said, for Organisations to get digitally mature, its about acquiring the right talent and the right digital technologies. We pounded ourselves with enough reasons to become agile. And lastly many of our discussions suggested having a more focused, consumer-centric collaborative culture going forward. All that was fine, still is. But navigating the complexity and the unpredictability that we have been mandated with, as we address our respective strategies, both for the brand and the organization is a tough ask. Strategizing in the digital world makes us think differently. New digital technologies make us reimagine our approach providing newer ways to connect with our consumers, employees and other stakeholders. Secondly it is making us think of long term platforms and view the competitive landscape differently. Thirdly, it wants us to define our own unique goals of transformation. We agree its not just a shiny layer on top, its the hard working engine that runs below, connected to several other important moving parts of the Organisation. When the transformation agenda and business goals align, they automatically start to imply a strong ‘consumer experience driven approach’ at its very foundation. This becomes the core. And then subsequently when we start building experiences, all these three, almost magically – the transformational focus, the business angle and the consumer experience obsession – start to look compelling. Its almost surreal as they collectively converge to become inseparable blocks of our brand’s future-proof framework. As consumers flow from once channel to the other this new behaviour needs to be studied as a unified one. They aren’t moving in a straight line, are asking new questions, sometimes not knowing what to ask and posing new challenges. Competition is changing its form and format, originating from unknown places. Its a lot about collaboration leading to small players with an ecosystem approach rise fast. The approach to building experiences and useful solutions and not getting caught with a campaign approach,is becoming a big differentiator. Imagine having to create 50 different pieces of communication for 50 different ideas around new experiences some of them from real time insights. Finally, measurement of performance and success criterion have changed. In this big-business-strategy-transformational-picture, initially don’t put everything under the ROI filter. Be a bit less rigid on rules, have some fun, experiment, maybe fail, learn and move along. Secondly, regular metrics, client researched information or cliched focus groups won’t help. Going inside the consumer’s mind, living with them and valuing their subtle granular needs is key. Broaden the world of insights and start thinking of new insights coming from usage, media, market, future, search, purchase and all that. Strategizing in a digital world, is a journey, a journey that’s more about Digital Readiness or Digital Transformation. Its not a tag that you seek to acquire. Its about reaching a state where you can claim to have an innovation – centric culture and a future-driven mind-set. At this point you start behaving like a digitally transformed Organisation which is the beginning of a continuous state of evolution and the constant fine-tuning you need to do, to get the Engine and all the moving parts working towards efficiency. Eventually all your solutions – whether in the shape of consumer facing campaigns, or that Insta-moment or the products or platform ideas should go through this rigour and your organization will start behaving like one with the ability to drive a culture of change. Digital strategy or Digital transformation, whatever you wish to call, will then infiltrate into all parts, because it spans the whole Organisation.